*Free, but donations are accepted. 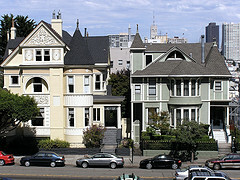 See and learn about the Victorian era architecture of the city’s first suburb on a guided walk from SF City Guides. Free, but donations are accepted. On a walk through the neighborhood of Lafayette Square, you’ll learn about Victorian lifestyles and San Francisco’s illustrious history. You’ll see some steep streets and many fabulous views. Updated 3/18/19 – Event info last checked via website.